Beverly Harper-Essenburg, age 92, passed away on April 11, 2019 at Resthaven Care Center. Beverly was born on March 6, 1927 in Holland to George and Hilda Frego. She graduated from Holland High School and Grand Rapids Junior College. As a young woman, she worked at Butterworth Hospital, the Kalamazoo and Holland Chambers of Commerce, and served on the Tulip Time board and the board of The Easter Society. She also worked at J. H. Campbell, Herman Miller and Donnelly’s, and was co-owner of Bob’s Bargain Center in Holland. 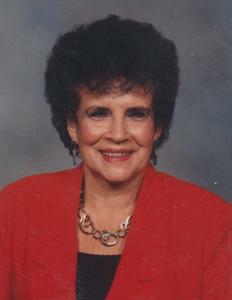 She retired in 2005 after working several years for Restlawn Memorial Gardens. Beverly was a member of St. Francis de Sales Catholic Church and served on the boards of the Altar-Rosary Society and the National Council of Catholic Women at one time. She enjoyed golf as a member of the Michigan Amputee Golf Association. She was preceded in death by two daughters, Mary Elizabeth (1958) and Laurie Williams (2001); two brothers, Father Max Frego and Donald Frego and wife, Arlene Frego; a sister, Phyllis Tomlinson and husband, Charles Tomlinson; and most recently a brother-in-law, Jack Shinabarger. Surviving are her husband, Julius Essenburg, daughter, Lynn (Paul) Lubben of Berea, Ohio; son, Douglas (Nancy) Harper of Wellington, Florida; and daughter, Sally Sale of Holmes Beach, Florida. She is also survived by three grand-children and four great-grandsons; a sister, Pat Shinabarger of Holland, and several nieces and nephews. Funeral Services will be held at St. Francis de Sales Catholic Church, 171 West 13th Street in Holland at 11:30 am on Tuesday, April 23rd, 2019. Father Charlie Brown will be officiating. Burial will be in Pilgrim Home Cemetery.